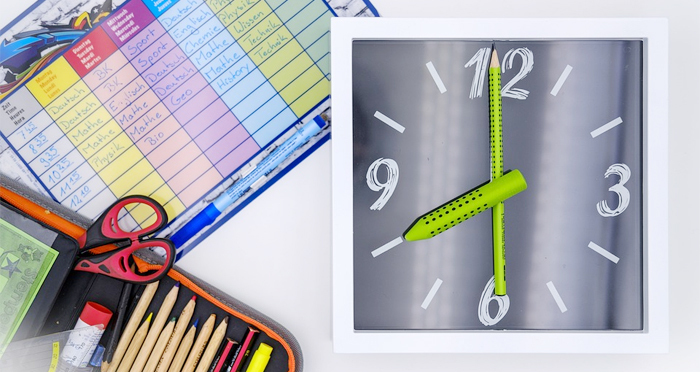 During the Bend-La Pine Schools Board of Directors meeting, Superintendent Shay Mikalson announced plans to adjust school start times to better meet student needs. Mikalson said that next year, elementary schools will start and finish approximately one hour earlier, while middle and high school schools will start and finish approximately one hour later than they currently do. During his presentation, Mikalson noted that a substantial body of research shows teenagers would biologically benefit from start times after 8:30am – yet currently some district secondary schools start as early as 7:30am. Bend-La Pine Schools will be joining districts around the nation that have already pushed back school start times for middle and high school students. Among Oregon’s largest districts – Portland, Hillsboro, North Clackamas, Eugene and Medford – all have secondary start times at 8:30am or later. Next year, Mikalson said, district secondary schools will begin at approximately 8:45am, while elementary schools will begin at approximately 8am. The decision comes after nearly two years of staff, student, parent and community engagement efforts that included a 20-member Start Time Advisory Committee, a community forum and a broad-based public survey that received more than 5,000 responses. “After careful consideration of the information gathered by our start time committee, reviewing the literally thousands of comments that came in and from the information we learned at our 2018 Start Time Community Forum, we found that support for the change was consistent across all groups – including staff, students, parents and community members,” said Mikalson. Mikalson said that the district was strategic in making the announcement about the new start times nearly a full year before implementation to give families, students and community members ample time to plan for next fall. Elementary school hours from approximately: 8am to 2:30pm; Wednesdays 8am to 1pm. Middle and high school hours from approximately: 8:45am to 3:45pm; Wednesdays 8:45am to 2pm.